Before the Release of Book 2, Get Book 1 for FREE this weekend only! Read about the old man and the crazy white flying being named Bee. By the time you finish, book two will be ready to take you on the next adventure in the series. Yep, prepare for things to get a little crazy. 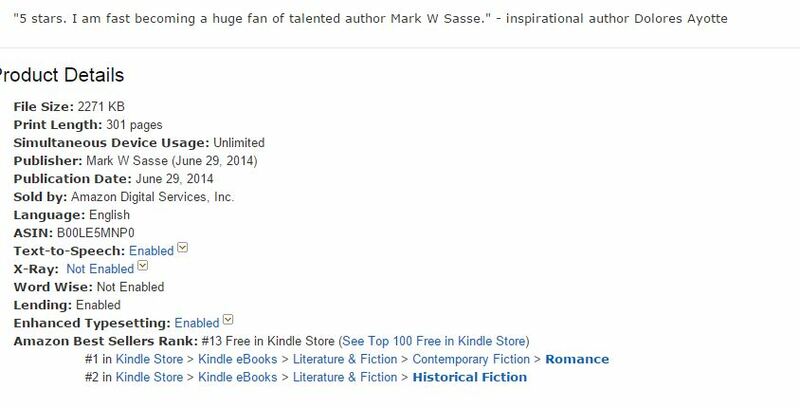 A Man Too Old for a Place Too Far FREE THIS WEEKEND on KINDLE through Sunday. Please get yourself a copy and don’t forget to leave a review! A special promotion on my novel A LOVE STORY FOR A NATION just started. FREE on Kindle through April 23. How does FREE sound? WHICH HALF DAVID – Get the novel now! For the first time ever, my most recent novel WHICH HALF DAVID is available for FREE on Kindle. In case you aren’t aware, FREE indicates no exchange of money whatsoever. Consider it a gift. A reading gift for you from me. If you like it, please try another of my books and leave a review for me. That would be excellent use of that FREE book. Which Half David FREE HERE! FREE on Amazon UK HERE! 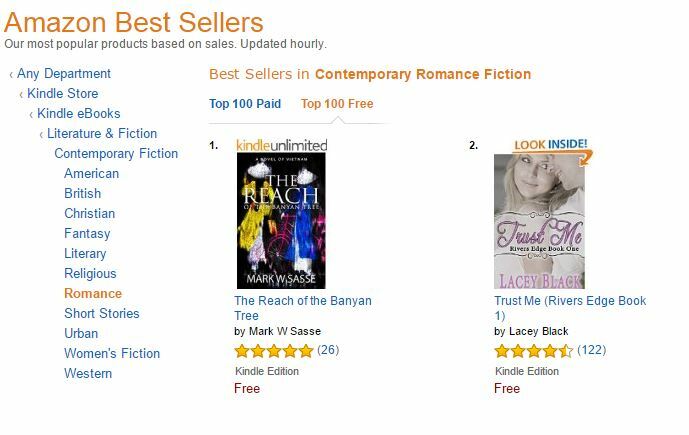 First Time Ever: “Banyan Tree” novel FREE on Kindle! Limited time. It’s free on Kindle. Please get yourself a copy and help me get the word out. I can’t see me ever offering this again for free in the future, so this is the time. And if you do download it, I’d greatly appreciate a review. Chip Carson intended to marry a young Vietnamese woman until a tragic accident lands him in prison, forever altering the outlook of their relationship. As he struggles to cope with his strained love, a mysterious stranger appears bearing a journal about Chip’s grandfather who parachuted into French Indochina at the end of World War II. As the words in the journal reveal a life that Chip never knew, he begins to understand the depth of love and sacrifice needed in order to have a second chance at love. 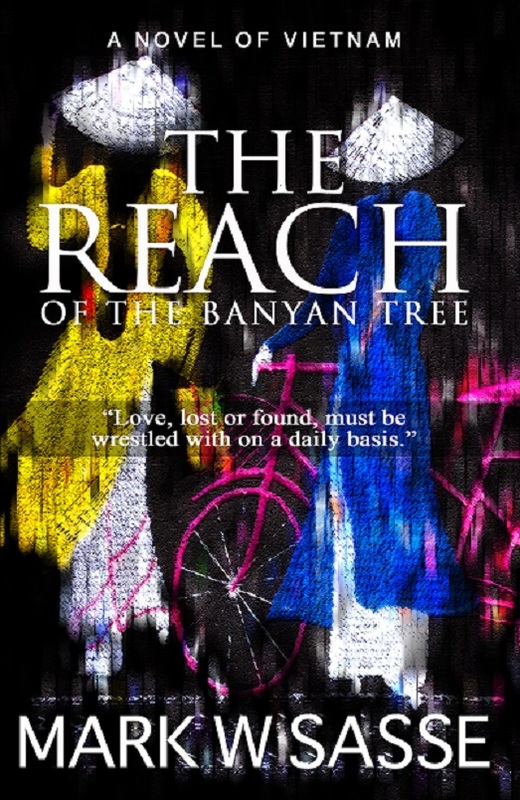 Part historical fiction, part contemporary love story, The Reach of the Banyan Tree is an adventure spanning two eras. It explores the effects of war, love, culture, and family obligation in twentieth century Vietnam through the eyes of three generations of American men, who each lost their soul in the tangled reaches of the banyan tree.